Here’s your chance to win one of five pairs of FREE tickets to the NEC Show this November. The Show, held at the Birmingham National Exhibition Centre opens to the public November 16-25 and it will be the first time we’ll all be able to see, and touch, the latest tackle and find out whether they live up to the hype. This year sees some of the hottest bikes for ages – the Ducati 999, Honda CBR600RR and Kawasaki’s ZX-6RR and bonkers mad Z1000 to name but a few. 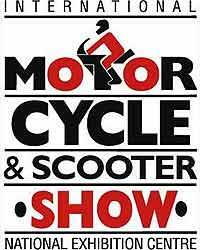 There’ll be an indoor stunt show, a fashion parade with all the top names in riding and street wear and the chance to try a scooter on the indoor arena. Normally tickets are £11, if booked in advance, and £13 on the door for adults, children aged 11-16 get in for £6 and accompanied under tens for free. Special preview day tickets are also available for £25. But if you can answer this simple question you can get a pair of tickets for nowt. What does NEC, as in NEC Birmingham, stand for? Send your answers on an e-mail to dave.batchelor@emap.com. You MUST put " NEC SHOW COMP " in the subject line and you MUST include a daytime contact number. We’ll draw the winners out of hat. This competition closes on Friday October 18 and we’ll announce the winners on the following Monday. Usual MCN rules apply. Just one entry per person please. If you’re not lucky enough to score free tickets, they can be purchased over the phone by calling 0870-078-4878. For more information on the NEC Show and for travel information visit www.motorcycleshow.co.uk.